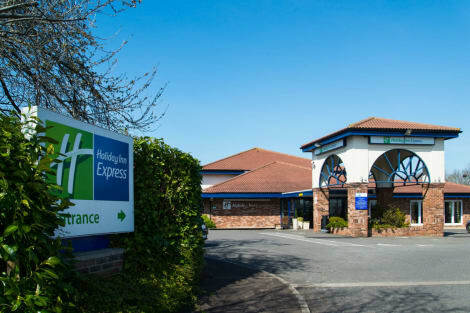 A quiet Peterborough hotel with free parking and all day diningHoliday Inn Express® Peterborough hotel enjoys a peaceful location on the outskirts of the city, with easy access to the A1.Nearby Peterborough station has direct trains to London and Cambridge. There's a bus stop close by, so you can be admiring the 13th-century wooden ceiling and grand Norman arches at city-centre Peterborough Cathedral within half an hour. You can play 18 holes at nearby Thorpe Wood Golf Course, or take the kids to brush up their skating skills at Planet Ice. In spring and summer, wander the lush parkland at 16th-century Burghley House, home to the famous annual horse trials. If you're visiting on business, the East of England Showground and the Lynchwood and Minerva business parks are within walking distance.At this hotel you can enjoy:- A well-equipped meeting room for up to 16 guests- An inclusive Express Start™ Breakfast- High quality bedding and a choice of pillowsOur Next Generation bedrooms have free Wi-Fi. Families can stay together thanks to handy sofa beds, and blackout curtains help ensure a restful night. If you get peckish, snacks and hot food are available all day, and our cheerful bar is great for an informal meeting or a drink with friends. Make yourself at home in one of the 8 guestrooms featuring refrigerators and microwaves. Complimentary wireless Internet access keeps you connected, and cable programming is available for your entertainment. Bathrooms have showers and hair dryers. Conveniences include coffee/tea makers and irons/ironing boards. 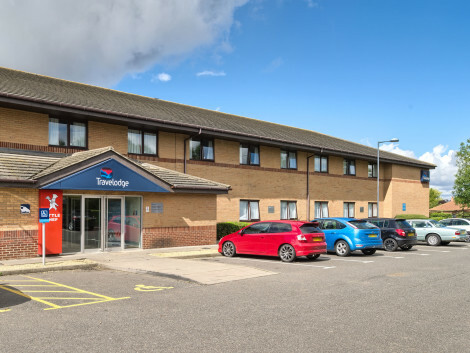 Smart and modern, the 3-star Park Inn by Radisson Peterborough is within easy walking distance of the railway station and Peterborough Cathedral. During your stay you can enjoy international flavours in the RBG Grill or a relax with a drink in the RBG Bar. Rooms at the Park Inn by Radisson Peterborough have tea and coffee making facilities, flat-screen TVs with satellite channels and free high-speed wi-fi. With a stay at Park House in Peterborough, you'll be within a 10-minute drive of East of England Showground and Peterborough Cathedral. This vacation home is 16.3 mi (26.2 km) from Burghley House and 1.7 mi (2.7 km) from Peterborough Greyhound Stadium. 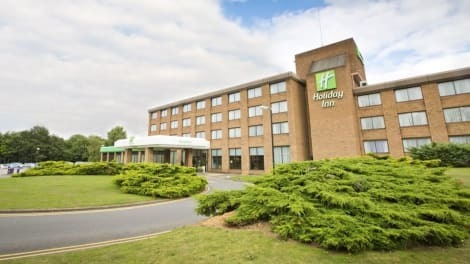 A smart Peterborough hotel set in landscaped gardens with a popular banqueting hall, free parking and a spaThe Holiday Inn® Peterborough – West hotel is only 5 minutes by car from the city centre.We’re close to the A1(M) and A47A, and direct trains from nearby Peterborough station can whisk you into London in less than an hour. If you’re visiting on business, exhibitions at Peterborough Arena are a short drive away. We have 13 flexible meeting rooms onsite, and the banqueting suite has space for up to 400 guests. Many local companies are close by at the Peterborough Business Park. If you’re not working, you can admire the 13th-century painted ceiling at Peterborough's Norman cathedral, play 18 holes at the nearby Orton Meadows Golf Course or enjoy a countryside walk in Ferry Meadows Country Park.At this hotel you can enjoy:- Free WiFi- To Go Café- Kids stay and eat freeOur bedrooms have high-quality bedding and a choice of pillows. The Open Lobby is a great place to relax, with connections for laptops, comfy chairs and a Media Lounge where you can watch TV with a drink. Snacks, coffee and hot food are available all day. The spa has an indoor pool, and you can work out at the gym, de-stress in the sauna or indulge in a treatment at the Zula Beauty Sanctuary. At Dragonfly Hotel Peterborough, enjoy a satisfying meal at the restaurant. Quench your thirst with your favorite drink at the bar/lounge. English breakfasts are available daily from 8 AM to 9:30 AM for a fee. With a stay at The Pearl Hotel in Peterborough, you'll be within a 10-minute drive of East of England Showground and Peterborough Cathedral. This 4-star bed & breakfast is 16.1 mi (25.9 km) from Burghley House and 1.9 mi (3.1 km) from Peterborough Greyhound Stadium. Peterborough is a thriving city on the Cambridgeshire, Rutland, Lincolnshire and Northamptonshire borders, making it the perfect place to explore the surrounding countryside and villages. It's also an impressive city in its own right, with a strong sense of history and heritage and a buzzing cultural life. Visit the magnificent Norman Cathedral, enjoy a day's shopping at Queensgate and the City Market, and take in dinner and a concert in the evening. There's plenty to see and do in Peterborough. 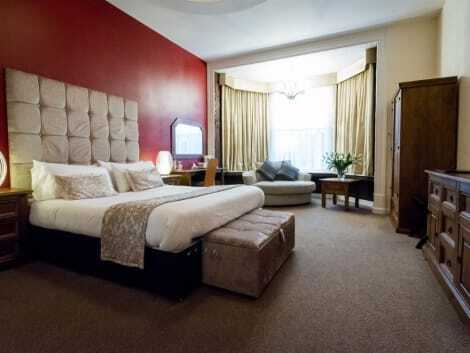 We have a great range of Peterborough hotels on offer, from well-known and trusted chains like the Radisson and Days Inn to smaller boutique hotels and family run B & Bs. Situated in one of the city's most historic buildings, Peterborough Museum is a great place to take the whole family, with interactive displays for all ages, and a collection of over 200,000 artefacts, some of which are of great international significance. The museum charts the history of Peterborough from the Romans to the Great War and beyond, and it runs guided walks around the city which is a great way to learn more about this fascinating place. Peterborough Cathedral boasts some of the most dramatic medieval architecture in England, and, with its stunning Romanesque interior almost exactly as it was 800 years ago, it's a must-see in this historic city. The Cresset is the real hub of Peterborough's cultural scene, with live music, comedy, theatre, and family shows. Made sure you check out what's on before you head to Peterborough so you don't miss out. The Key Theatre, in the city centre overlooking the river Nene has a great mix of drama and family shows, as well as live screenings of other theatre productions taking place around the country. There's also live music at various pubs and bars in the city, and the Showcase cinema has the latest new releases for those that want some big-screen excitement. Whatever you fancy in Peterborough: fine dining, pub grub, or afternoon tea, Peterborough has something for everyone. There's world cuisine on offer with Mexican, Thai, and Italian restaurants, and you can even eat in a floating restaurant on the river if you're feeling adventurous! Enjoy a spicy curry at the Taj Mahal, a filling plate of pasta at Mattoni's, or some good traditional British food and a pint at The Prince of Wales's Feathers.